You know the saying “hindsight is 20/20”? Looking back, I can see it all so clearly now. 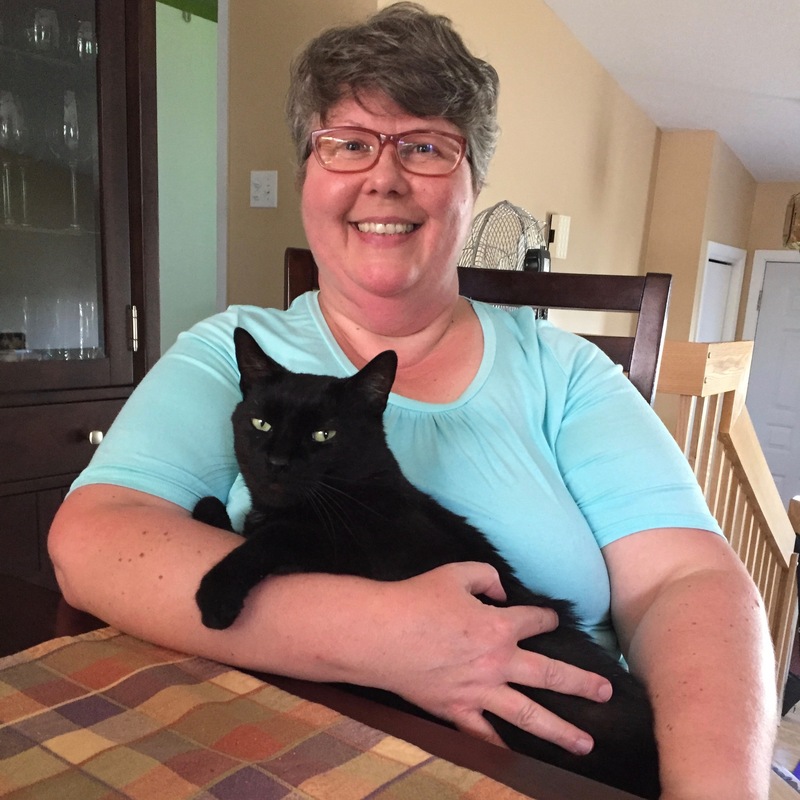 I don’t want any other cat lover to go through seeing your cat in pain with osteoarthritis the way I did, so I’m going to share what I wish I had known a month ago when New Brunswick’s heat and humidity hit. I’ve been detailing Minuit and my journey together since I first adopted him in March with stories about adjusting to an adopted older cat, switching to raw food, and finally outdoor success on a leash. I thought I was done, but then over 5 weeks he became a different cat. Now I know why. Osteoarthritis in cats is very common! Did you know that in a study published in 2002, 90% of cats over 12 years of age had evidence of degenerative joint disease? More recent studies have shown x-ray evidence of arthritis in between 60% and more than 90% of cats. All these studies show that arthritis is actually very common in cats, that it is much more common (and more severe) in older cats, and that the shoulders, hips, elbows, knees, and ankles are the most commonly affected joints.1. Osteoarthritis (OA) happens when the normal cartilage that cushions the joint degenerates and is worn away, resulting in inflammation and discomfort in and around the joint. Just like in humans, it often happens with aging, but can also be caused by obesity, genetic traits, injury, or as a secondary condition of certain diseases. When I first got Minuit, I started giving him Omega 3s for his dandruff, and then switched him to raw food, both of which helped boost his youth factor. Now I would wager he is at least 12 years of age — when most cats start having symptoms of osteoarthritis. 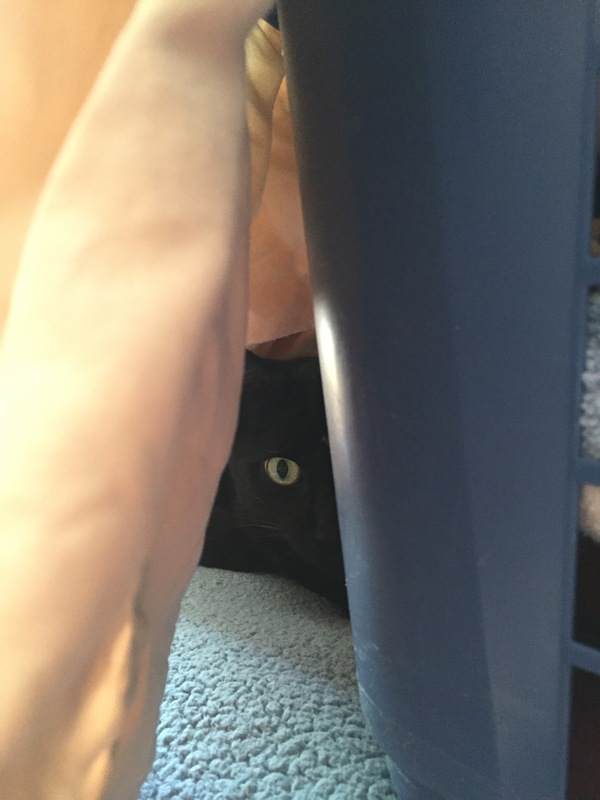 He was fantastically healthy for a former stray cat of his age, but looking back, as soon as the heat and humidity hit in mid-July, he started playing less during the day, running around like crazy before bed, and more gradually, stopped jumping up to get a cats-eye view of his surroundings. So many signs that I missed! It’s easy for me to say that if this happens to you, don’t beat yourself up like I did, but I hope this helps you before he gets as bad as Minuit before I acted. I am stubborn when it comes to prescription medicines for myself, so I am no different when it comes to my pets. I ALWAYS seek the most natural way to help heal first. I was already doing a great job with his diet, but he needed some help. 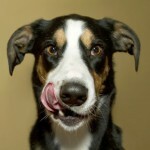 When I finally realized that he needed help, I turned to my friends at Global Pet Foods. I want to thank JP Rioux, manager of the Dieppe store, for helping me. I was a mess when I went in for help. 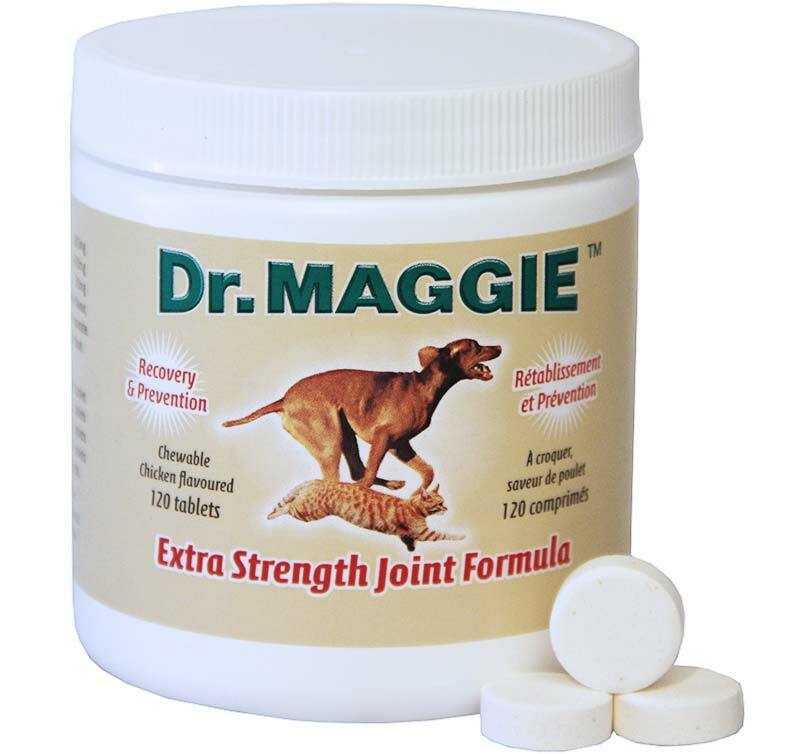 He suggested chicken-flavoured Dr. Maggie Extra Strength Joint Formula (which I break in half and crush into his food) and Feline Omega 3 (fish oil, which Minuit adores). I watched him like a hawk for the first day. He slept right beside me most of the night and in the morning his back was no longer arched and he began to sit again instead of instantly lying down after coming to a stop. Today is day 3 as I write this, and he is back to climbing stairs quickly. Don’t worry, if he isn’t back to his playful self in a week or two I will take him to the vet to rule out anything else, but he’s getting back to his chatty catty self (something I never thought I’d be happy to hear) and he just brought the ball to me to play for the first time in weeks! Another possible treatment is acupuncture. Definitely something I may consider exploring as he ages. The most common veterinary treatment is non-steroidal anti-inflammatory drugs (NSAIDs like ibuprofen, but for kitties), but I think about how hard it is on the digestive system, so it would be a last resort for us.. Although he’s older than I thought, I plan to give my boy-o the best senior years I possibly can. He’s definitely worth this small price for the level of love he so freely offers.